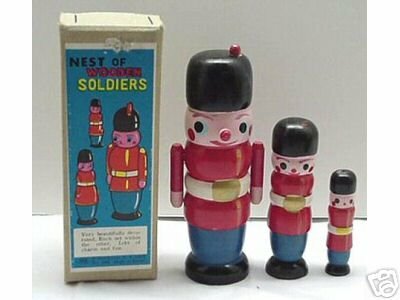 This set of Soldier nesting dolls was made by B. Shackman in Japan. The large piece is 5 inches tall and the smallest doll is 2 1/4 inches. This set is in excellent conditions and comes in it's original box.